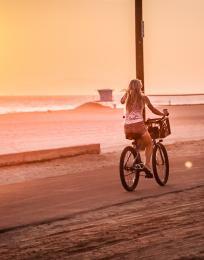 Take a ride along the Pacific Coast Highway north of Warner Avenue and you will find yourself in the beautiful Huntington Beach community known as Sunset Beach. This .2 square mile town prospered during the 1920s with the discovery of oil, but it subsequently became known for its surfer vibe and quaint ambiance. Today, Sunset Beach is also a destination for locally-owned and operated unique shops and boutiques. Stop in. Take your time. 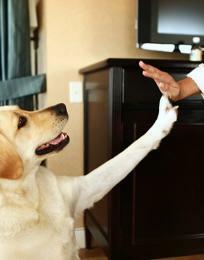 Browse and chat with the owners. Take home something special. In 1954, Nancy and Walter Katin opened a small boat cover business called Kanvas by Katin. Local surfers took note of the durability of the boat covers and asked the Katins to make custom surf trunks from the same high-quality canvas. The Katins obliged, and the popularity of the trunks took off with surfers worldwide wearing the iconic Katin trunks. Sato Hughes, who began sewing surf trunks by hand for the Katins in 1961, now owns the business and continues to stitch the trunks with her own two hands today. These custom trunks are still the shop’s biggest sellers. In addition to the iconic surf trunks, the shop also stocks shorts, hybrid trunks, shirts and tees. 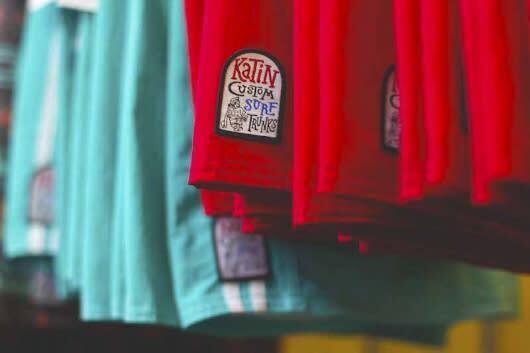 Plus, Katin has all things surf-related, such as boards, wet suits, fins and accessories. Inspired by the owner Angela O’Brien’s love of Bali, Indonesia, this charming beach boutique features bohemian woman’s handbags, clothing, home goods and accessories. 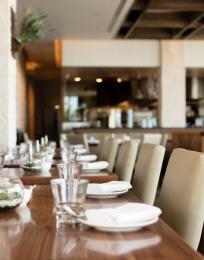 Bali’s heritage, patterns and people are the heart of Cleobella. Handbag designs are handmade by local Bali artisans. 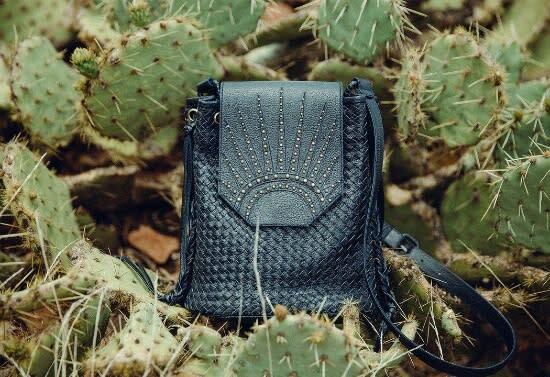 Every bag is skillfully crafted with quality leathers, recycled metals and limited edition textiles sourced in Bali. Patterns are designed, hand dyed and embellished individually. All styles are detailed by hand with tooling, beading, embroidery, studs and/or lace. This intricate process is signature to the Cleobella brand, where every product is a timeless work of art. One of Cleobella’s top sellers is the Mexicana line of hand-tooled leather clutches and wallets. Those who have a passion for 1970s fashions will fall in love with Cleobella’s embellished and crocheted dresses, jumpers, playsuits and harem pants made from colorful Ikat (Indonesian handwoven fabric). If you are a music buff and “into” vintage and new guitars, this store can be addicting. Beach Music has a solid reputation as a go-to music shop for new gear, supplies and quality used musical equipment. Owner Billy Fuller is knowledgeable and helpful. 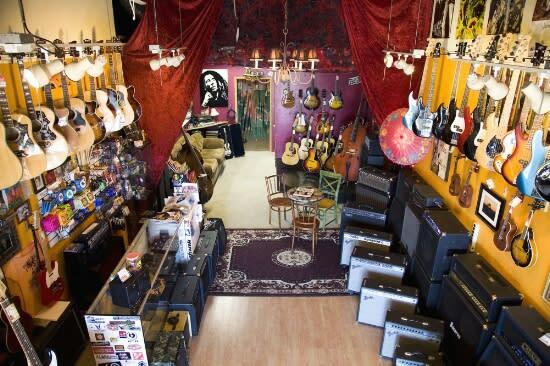 Visitors to Huntington Beach who want to feel the vibe of a “mom and pop” shop that is a hub in the Sunset Beach community will be impressed by his large collection of guitars, amplifiers and all things musical ranging from entry level to high end collectibles. To make sure every instrument sounds its best, the in-house repair department performs all necessary set-up and quality checks before any instrument is offered for sale. Rentals are also available. Consider renting a guitar to take to the beach and serenade your friends and family around one of Huntington Beach’s famous bonfires. “Captain” Eric Bakker has been at the helm of this treasure trove of nautical and marine antiques and collectibles for more than 40 years. The place looks like a museum, but everything is for sale and comes with a story by Bakker, who will gregariously share the history of each item in the massive collection. 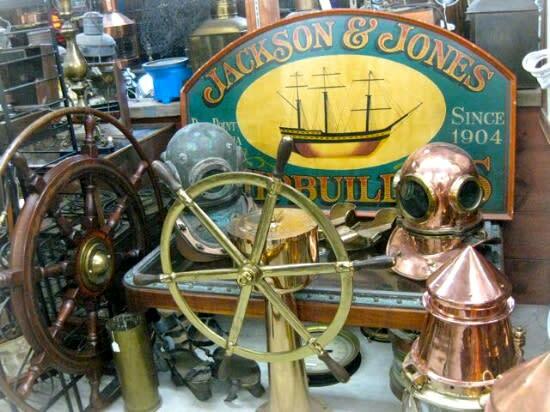 The antique store is filled with authentic old brass instruments, diving helmets, harpoon guns, ship wheels, telescopes, ship models, naval and folk art, US Navy memorabilia and collectibles, custom nautical and marine furniture and more. There is also a selection of new handsomely crafted merchandise. Among the most unusual and historic items at Antiques by the Sea are the original boarding pikes (pole weapons) from the USS Constitution, the warship noted for its service during the War of 1812 that earned the title “Old Ironsides.” These pikes were used to keep opposing groups from boarding the ship during warfare. 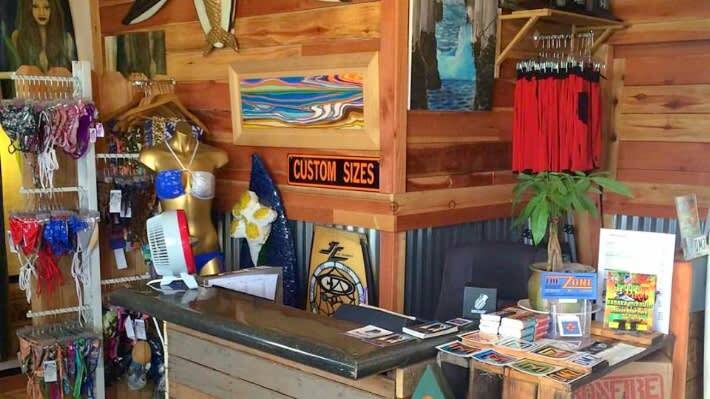 Get into the surf culture zone by visiting this new store that is a self-contained surf shop, beach boutique and art store. The Zone opened its doors in June 2016, and owners DMZ Surfboards shaper David Moore and local artist Janessa Bookout hope to attract customers who want what no one else has. Moore makes the surfboards and designs the standup paddle boards featured in the shop. Bookout’s mixed media sculptures (created from recycled surf materials, glass and tile) and paintings adorn the walls and interior space. The store also offers limited edition merchandise by local vendors include handmade custom bikinis and other bathing suits, high-end fitness wear, unique t-shirts and other fashionable attire. 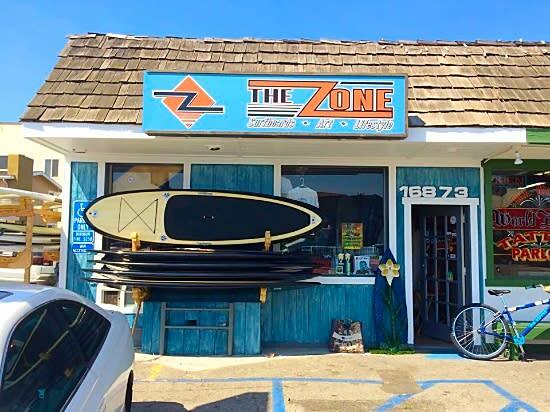 The Zone has a plethora of surf accessories, such as mini surfboard magnets, and every beach toy you need or want from all kinds of boards to kayaks. 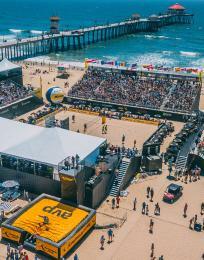 You can even rent paddle boards or foam boards for those of you who are beginning surfers. *Shops are listed in order of address traveling north on Pacific Coast Highway.